Machining Technology is designed for students interested in becoming a computer-controlled machine tool operator, a CNC machining tool programmer, or a machinist. Welding prepares and certifies students as entry-level welders. Basic arc welding and thermal cutting skills are developed over a series of two courses which will prepare students for an American Welding Society certification. Agricultural Engineering and Applied Technologies courses ready students for careers or further study in engineering, environmental science, agricultural design and research, and agricultural mechanics. Horticulture Science focuses on the skills needed to pursue jobs in greenhouse operations, horticulture production, landscape design and maintenance, and turf management. Veterinary and Animal Science provides experience in veterinary sciences and vet tech, as well as a variety of scientific, health, and agriculture professions. Architectural & Engineering Design offers instruction for students interested in careers such as architectural, civil, or mechanical design. Residential & Commercial Construction prepares students for the various disciplines of the construction industry. Structural Systems students learn the skills related to residential and commercial carpentry, covering wood, metal, concrete, and other building materials. Digital Arts & Design is geared towards students interested in careers as multimedia artists, animators, graphic designers, and communications specialists. 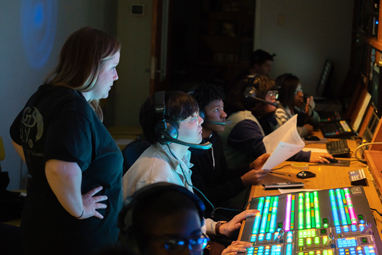 Audio/Visual Production is designed for students interested in a range of entertainment and news media fields, including instruction in production of various television, cinema, radio, and other audio and video products, including commercials, music, news, interactive programming, and film. Fashion Design prepares students for further education and careers in the fashion industry, including skills and knowledge related to the principles of design, apparel manufacture and merchandising, basic marketing and product promotion, trend forecasting, and presentation. Business Management covers concepts in business, finance, marketing, social responsibility and ethics, components of communication, business writing, desktop publishing, oral communications, and virtual meetings. Office Management prepares students for employment in the various capacities of managing processes and people in an office setting. Courses cover concepts of business, finance, marketing, social responsibility and ethics, communication networks, word processing and publishing, spreadsheet applications, database applications, presentation software. 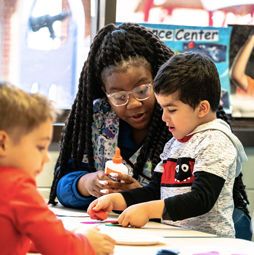 Early Childhood Education Careers provides opportunity for students to pursue a career as a preschool teacher, nanny, or childcare provider. Course content covers the components of child development, planning age-appropriate activities, learning environments, and other skills related to teaching younger populations. Accounting provides instruction in the basis for all banking and finance structure. Banking and Finance students focus on the knowledge needed for careers at institutions such as commercial banks, savings and loan associations, credit unions, local banks, insurance companies, and brokerage houses. 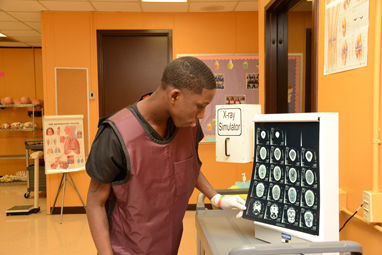 Diagnostic Services focuses on the fields of radiology, medical laboratory, optometry, and other patient diagnostic procedures. Emergency Services is designed to prepare students to pursue careers in the fields of emergency medicine. Nursing Management prepares students to pursue careers in the field of nursing. Public Health investigates the patterns, causes, and effects of diseases, and how healthcare has changed in response to global needs, and offers career opportunities in health science and policy. Sport and Human Performance equips students to pursue careers in kinesiology, exercise physiology services, and physical therapy. Therapeutic Services provides a foundation for careers in dentistry, pharmacology, nutrition, or rehabilitation. 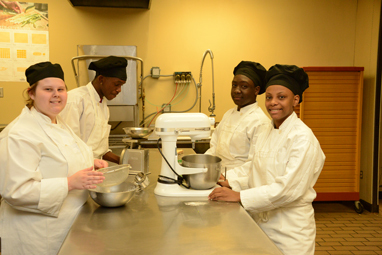 Culinary Arts allows students hands-on experience in preparation to become a personal chef, caterer, executive chef, or food and beverage manager. Hospitality & Tourism Management teaches skills needed in the hospitality industry, including business concepts and operations, customer relations, marketing plans, and professional communications. Human and Social Sciences focuses on the knowledge needed for occupations that support the everyday functioning of society, such as social services workers, counselors, and family mediators. 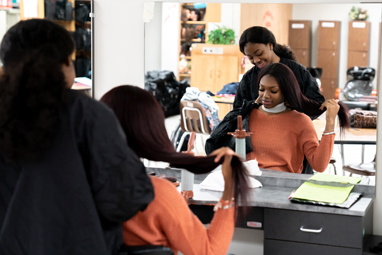 Cosmetology is designed to prepare students for careers within the personal care industry, including hairstylist, colorist, cosmetologist, and makeup and nail technician. Barbering provides skills and knowledge needed for careers in the barbering industry. Cybersecurity is designed for students interested in protecting computers, networks, programs and data from unintended or unauthorized access, change or destruction. 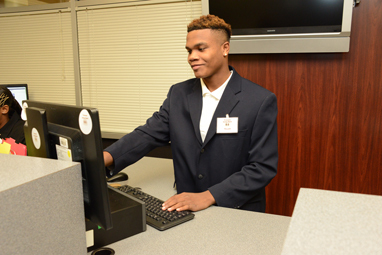 Networking Systems prepares students interested in occupations as computer support specialists, network and computer systems administrators, computer hardware engineers, and computer network architects. Coding is designed for students interested in computer programming. Web Design teachers the skills needed to design and create websites. Criminal Justice and Correction Services prepares students for a range of careers in law enforcement, crime scene analysis, forensic science, public safety, and criminal justice. Fire Management Services students acquire the skills and knowledge needed to pursue the Firefighter 1 certification. Marketing Management prepares students for employment in a career where learned techniques and strategies are used to convey ideas and information about ideas, goods, and services through marketing communications. Entrepreneurship students study what is needed to start, own, and operate their own business. Supply Chain Management focuses on the activities needed to manage the flow of goods and services and includes all processes that transform raw materials into final products. 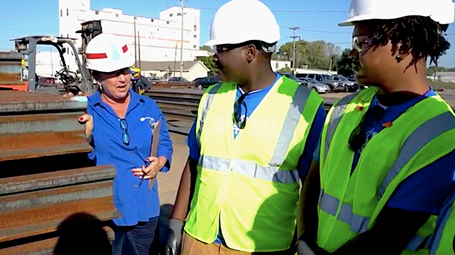 Engineering by Design allows students interested in engineering and engineering technology to develop critical thinking skills and explore engineering concepts. Project Lead the Way (PLTW) is an organization focusing on innovative, problem-based learning. PLTW offers three programs of study in high schools, including Biomedical Science, Engineering, and Computer Science. Automotive Maintenance and Light Repair courses prepare students for entry into the automotive service industry with an ASE (National Institute of Automotive Service Excellence) Student Certification or for entry into another maintenance occupation dealing with automotive technologies. 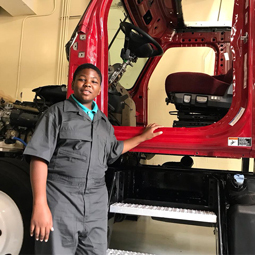 Some middle schools offer courses in CTE subjects to provide students with a foundation for success in high school CTE. These include Keyboarding, Computer Applications, Introduction Social Health, and STEM coursework.